Created by British artist Peter Liversidge, during his International Artist Residency in 2014, Peter explored the city for inspiration, and created 60 proposals for artworks. 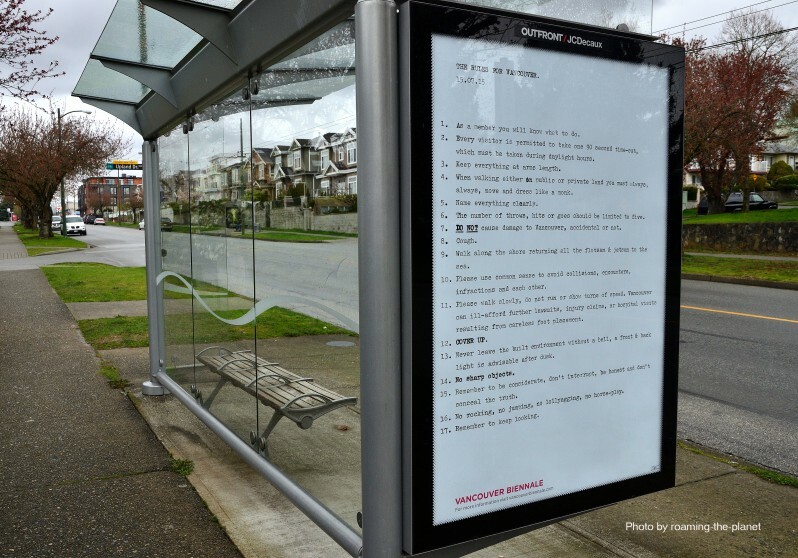 Proposal # 49: I propose to write a set of Rules for Vancouver is one of the artworks on display at 10 transit shelters across Vancouver. The 60 proposals range from practical to hypothetical, amusing and sometimes absurd and fantastical. Some of these proposals materialize as events, artworks or performances, while others will continue to exist solely on paper and as ideas in the viewer’s imagination. 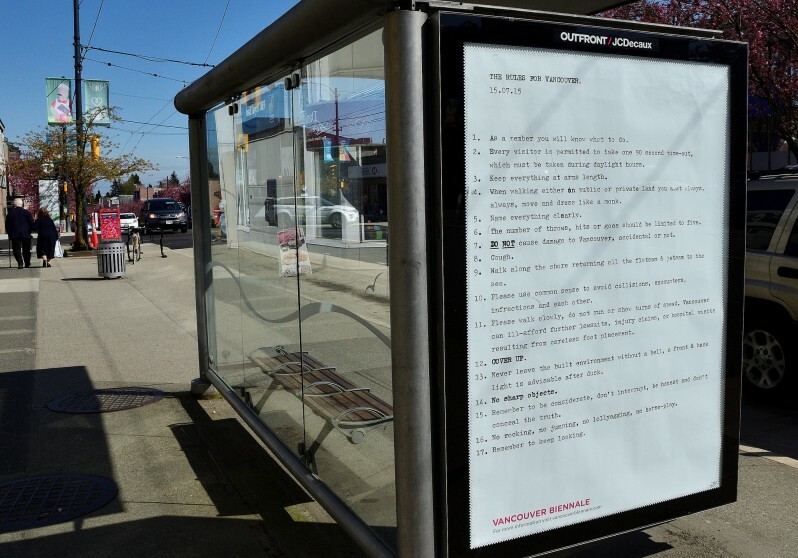 The 17 Rules for Vancouver Liversidge created are conceptual in nature, challenging and playing with the definitions of art, while also inviting viewers to participate and respond. 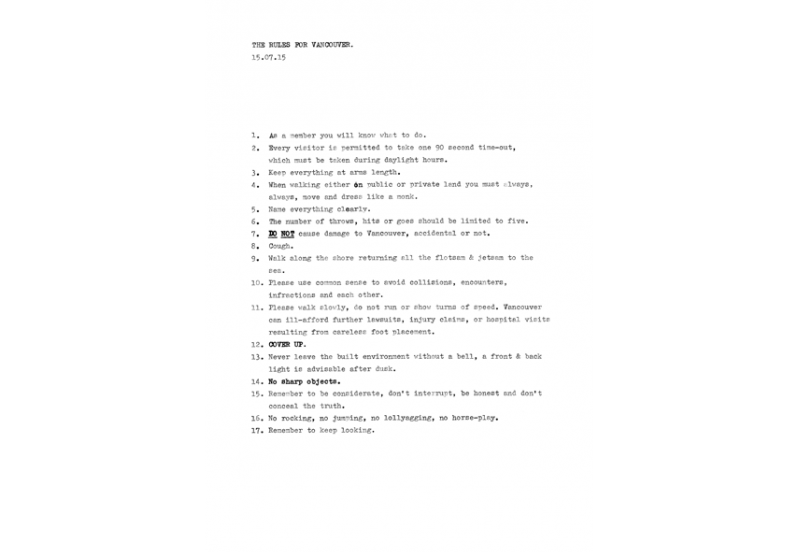 Complete with typographical errors, Liversidge drafted Rules for Vancouver on an analog Olivetti typewriter. 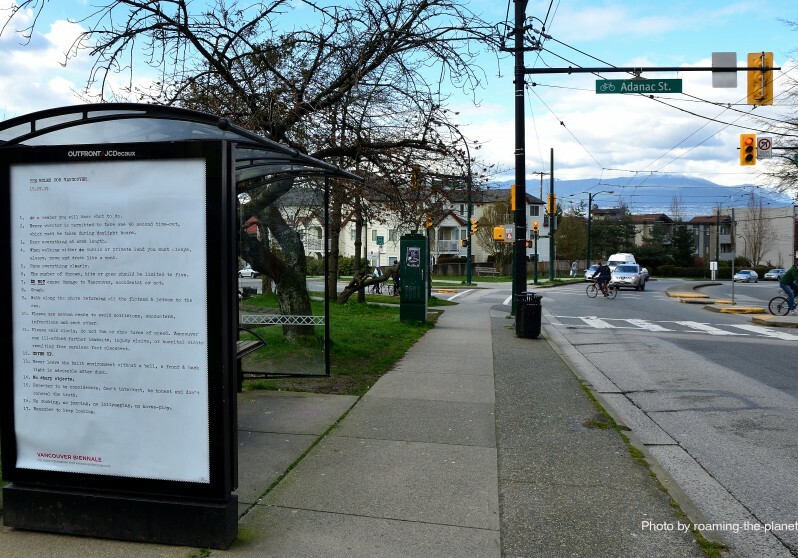 Liversidge creates proposals in response to the experience of a place, during his artist residency he devoted his time exploring and discovering Vancouver to incorporate local elements into his proposal series. 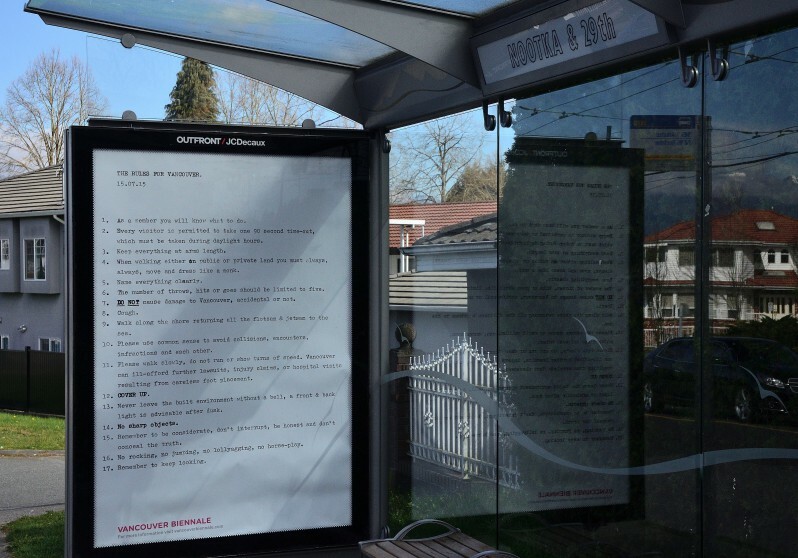 By placing 17 rules directly among commuting traffic, Liversidge is involving the audience and inviting people to interact, imagine or to activate one of his rules, any way they like! 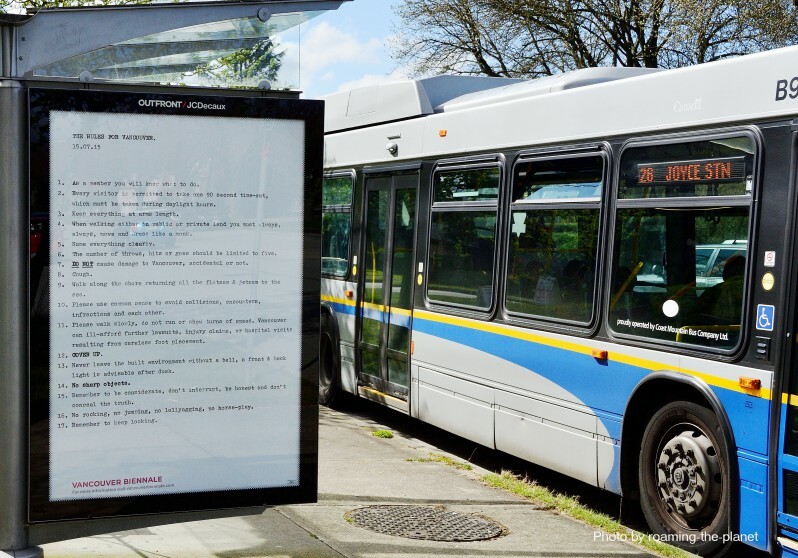 Tell us which of Peter Liversidge’s Rules For Vancouver is your favourite. Rules Made To Be BrokenWhat Rules For Vancouver Did You Write?